Since he had been a skillful lyricist and writer since grade school, he joined the Impact World Tour in the early to mid-2000s to tell his story and impress audiences with his rapid-tongue, artistic delivery. In 2003, he was awarded first prize in the Inspiration Network's Christian Artist Talent Search (a sort of gospel American Idol) and was enlisted to join other CCM acts like Kids in the Way, Relient K, and Jeremy Camp on-stage. 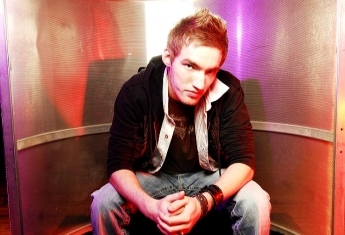 His first effort, Broken Chance, broke out with a bang in Kansas City and sold over 3,000 locally, and shortly after he was eagerly snatched up by Kikstart Records, and he recorded his official 2006 debut, American Dream. On this release he manages to mix his aggressive style of rap with rock elements to create a sound that works out very nicely. What really jumps to the forefront though is the lyrics. They deal with tough real life issues like; abortion, hatred, lust, poverty and what the American Dream really means these days. One example of this can be found in, "What If I," a soulful duet with Dove Award winning/chart topping hit maker Rachael Lampa, its theme deals with what would have happened if his own mother who became pregnant at the young age of 15 had decided to aborted him. American Dream hits home with remarkable relevance for today’s generation and beyond. 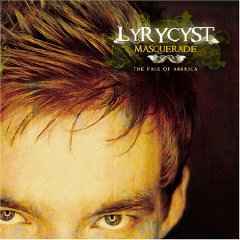 Masquerade, the 2007 release from Lyrycyst, manages to bring to light the issues he faced growing up and still provide a positive message about life. Field tested from constant touring and recording, he continues to hone his craft. Masquerade tackles the false pretenses under which many of us live our lives and go about our business. 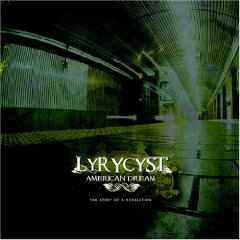 Some people say things along the lines of “Christian rap just doesn’t have the same feel as secular hip hop,” or “I’m just not down with Christian rap.” Lyrycyst just may change what some of you nay-sayers think with this album. “The reason I titled the record Masquerade was to tell everyone to keep it real instead of surrounding themselves in a fantasy land,” the tunesmith sums up. “In a strictly rap sense, it was to shed the stereotypes of the big bucks and bling culture, which really doesn’t relate to people who are on the streets and truly hurting. On more of a spiritual side, it’s to be real with one another and pick up our crosses daily together, rather than hiding behind masks to face a fight alone. People slip everyday and it’s sad when that happens, but we need to have a real view of our downfalls and the weakest places where Satan can strike. In the end by staying strong and spending time in prayer, God will hold true to His promise in helping you overcome whatever battle you have in your life, no matter how extreme, complicated or hopeless they may seem. Take it from a guy who hit rock bottom more times than he can even count, but has been made new and wants to let people struggling through any situation know that they can do the same. 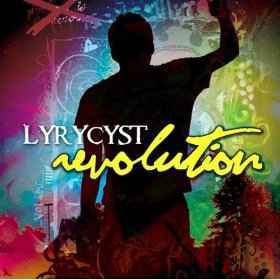 In winter of 2009, Lyrycyst returned with his much-anticipated follow-up album entitled “Revolution.” Based around the core concept of overcoming obstacles and pursuing destiny, the album became a staple in the definitive sound of the eclectic artist and broadened the spectrum of what popular rap music “should sound like.” Songs such as “Blink” and “You Can Be” offered fresh arrangements and instrumentation, while getting to the root of Lyrycyst’s storytelling abilities. Often times reminding newcomers why he was originally nicknamed “The Lyricist” when he first started penning rhymes in high school.